The full-color Chronological Life Application® Study Bible gives you a fresh scripture experience by presenting God’s story in the order it happened. Thousands of life- application® study notes. Hundreds of archaeological insights. Stunning color imagery. People have shown they want to experience the sweep of history best found in a Chronological Bible, the sense of discovery best found in an Archaeological Bible and the Solid application of biblical truth best found in a Life Application® Study Bible. 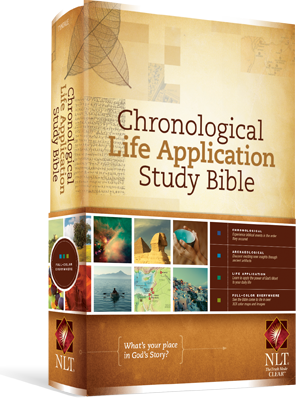 Download a sample excerpt of the Chronological Life Application Study Bible!